Because they make all the other cars look like poop. Okay, maybe not all the cars. That McLaren F1 Longtail looked pretty good. Just most of the other cars. Alfa Romeo hauled out a 1968 33 Stradale, a 1965 TZ2 and a 1933 8C 2300 Monza (raced by Scuderia Ferrari, hence the Prancing Horse logo) as part of the New York Auto Show festivities. No, we couldn’t sit in them, and no, we couldn’t touch them. But they did have the unexpected effect of completely upstaging the 4C, which is by no means an ugly car. 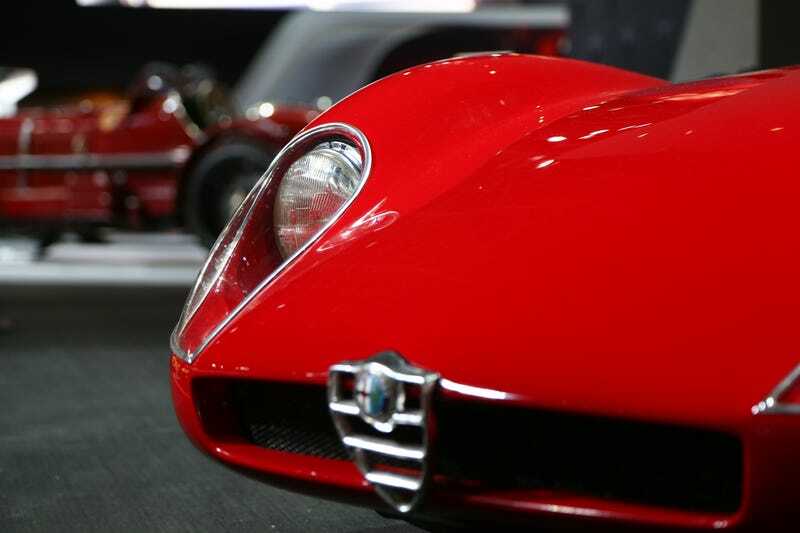 Bask in the beauty of the vintage Alfas. You’re welcome.